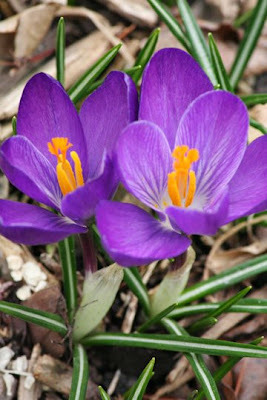 The crocus popped today! Well actually yesterday but it was dark by the time I got home so they had curled back up to sleep. That will all change tomorrow since it's time to spring forward. It will still be light out when I get home right after work. 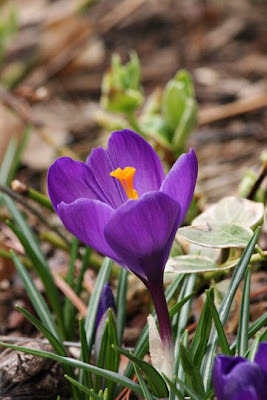 I took these shots of the crocus this morning about 11:30. 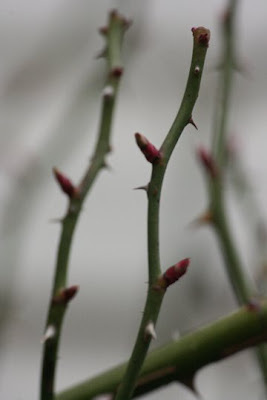 By 4:00, buds that were just starting to show or that weren't even visible this morning had started to pop. I just love watching all the plants wake up and go through their cycle of birth, life, death and rebirth.